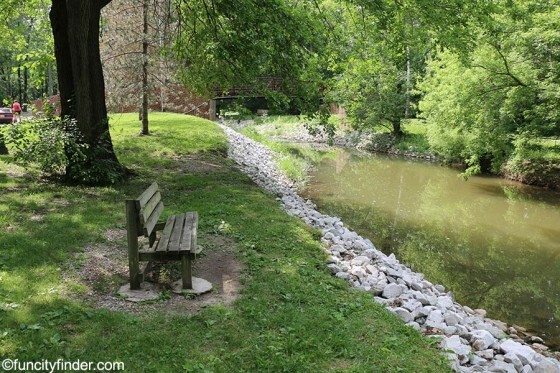 Arbuckle Acres Park is a cozy respite from the concrete of downtown Brownsburg. 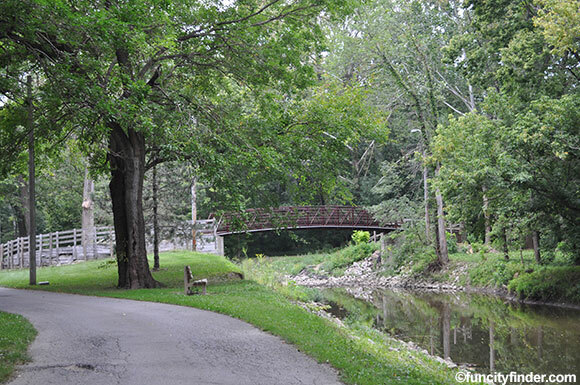 The park is located at 200 North Green Street, in Brownsburg, Indiana. 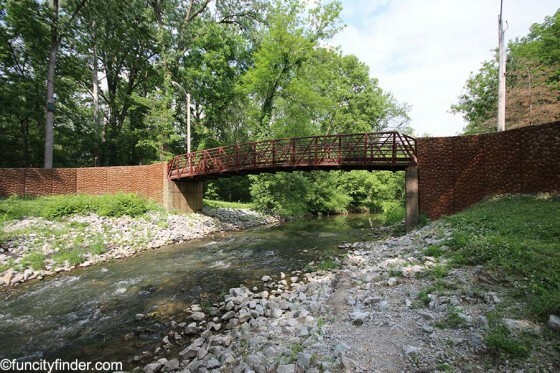 Never miss a new listing near Arbuckle Acres Park! 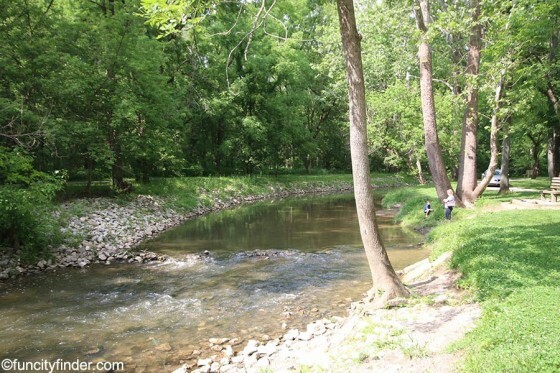 Arbuckle Acres is the place to commune with nature in solitude, start a pick up game of basketball with some friends, or do your Brownsburg school work with the calming murmur of the creek as background music. 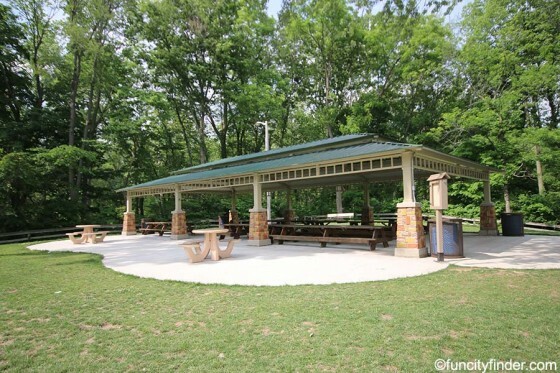 Families with Brownsburg children are welcome to take advantage of the facility's grills and open air shelters (both electrified and primitive) to host weekend barbecues and gatherings. 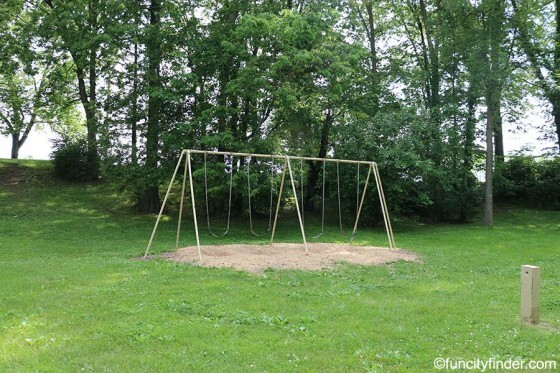 Kids will also love the colorful playground equipment on site. 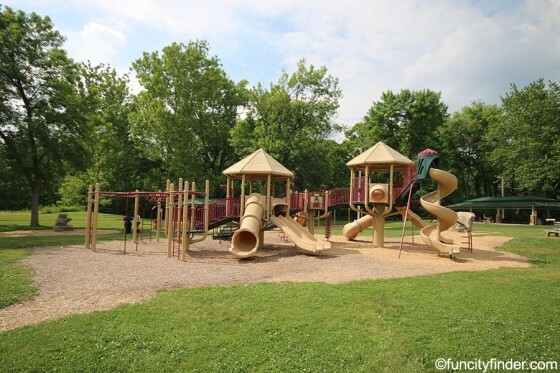 For Brownsburg sports fans, Arbuckle Acres Park has plenty of places to play. 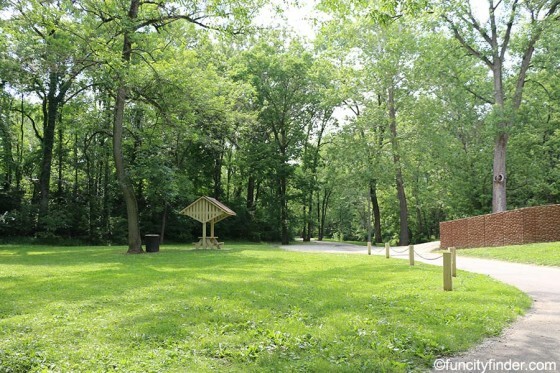 Basketball courts allow visitors to play the most Hoosier of all sports, whether you're part of a league or playing a casual game with friends and family. Tennis courts are also available for the wannabe Agassi's in your party. 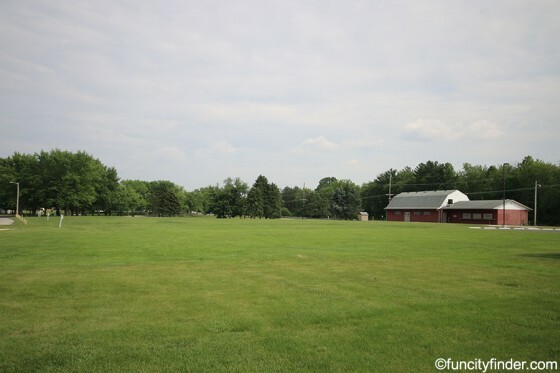 If neither of these sports are your fancy, there are plenty of open fields at Arbuckle Acres Park where you can play any sport of your choosing, including football, Frisbee, soccer, or even Calvinball (if you’ve got the imagination for it). 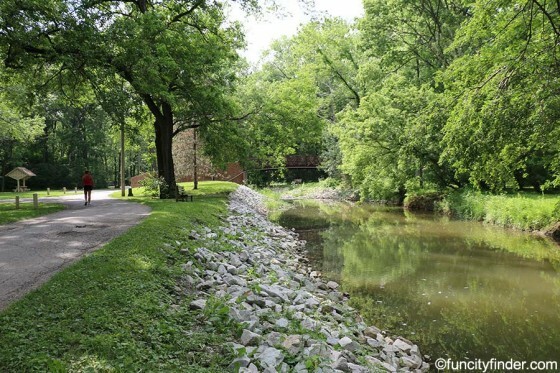 Nature fans will appreciate the quieter side of Arbuckle Acres Park. 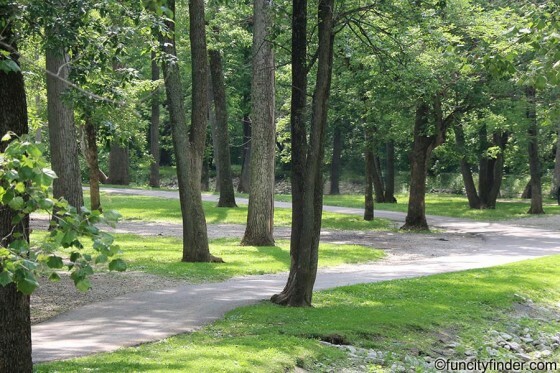 Wooded spaces allow for solitary walks through the countryside. 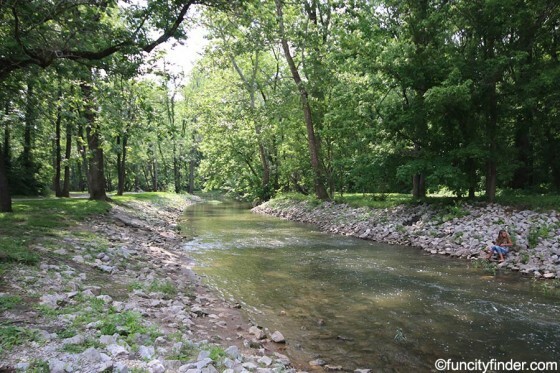 The creek is ever present at this Brownsburg park, a peaceful background sound to accompany your nature hikes. 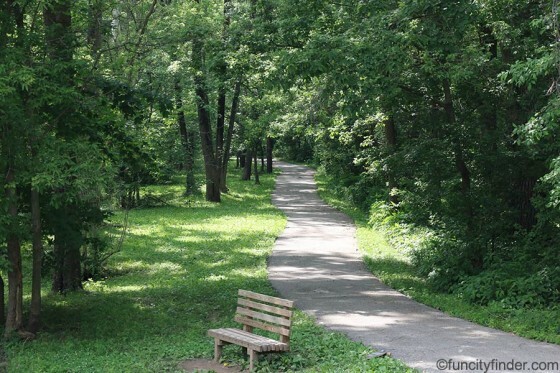 Walking trails criss-cross the park, both paved and rugged; the paved ones are equipped with benches, in case you want to take a breather or stop to smell the roses. 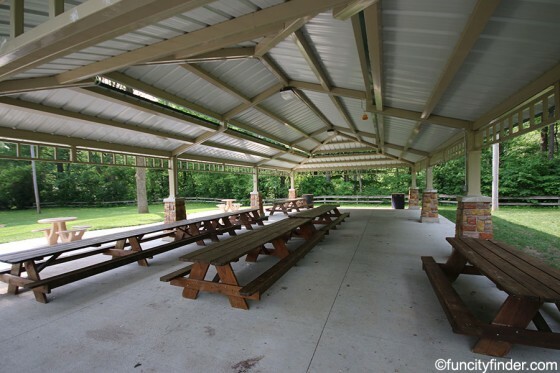 More organized Brownsburg residents can reserve the shelters, fields, or sports courts for their Brownsburg events for a fee. Vendors from all over Central Indiana come to show off their artwork and crafts, and Indianapolis bands sometimes provide a soundtrack to the event. 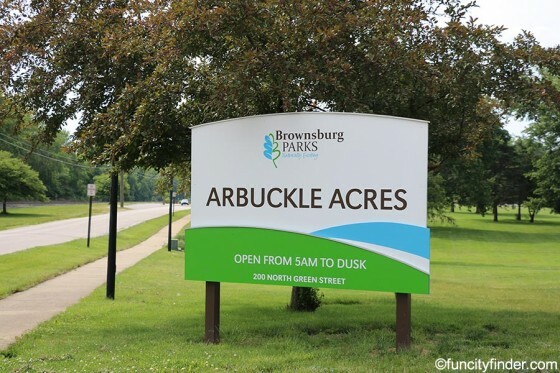 During Christmas Under the Stars, Brownsburg’s holiday blowout, the annual Parade of Lights begins at Arbuckle Acres Park and winds through downtown Brownsburg. 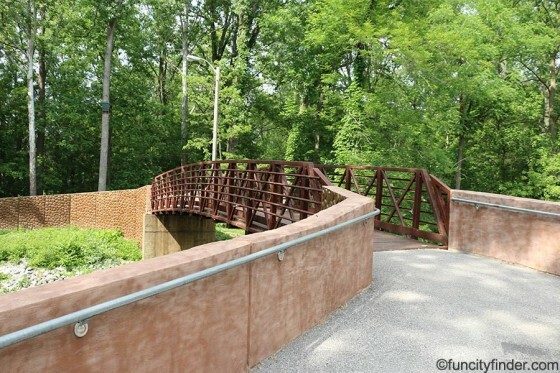 Arbuckle Acres Park is a fitting addition to the Brownsburg parks system. 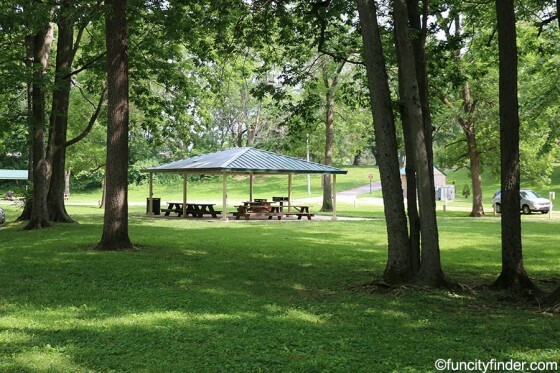 Second only to Williams Park in size, Arbuckle Acres Park has basketball and tennis courts, walking trails, open spaces for sports, picnic shelters and grills for parties, and a pretty little creek that adds some nice ambiance to the area. It is the host of the Festival of the Arts and the starting point for the Parade of Lights. 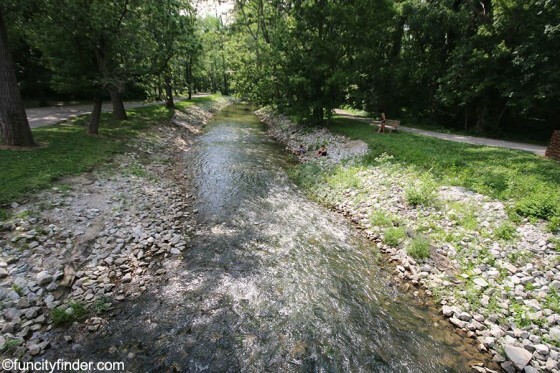 Come to Arbuckle Acres Park in Brownsburg, Indiana to take a break and smell the nature. 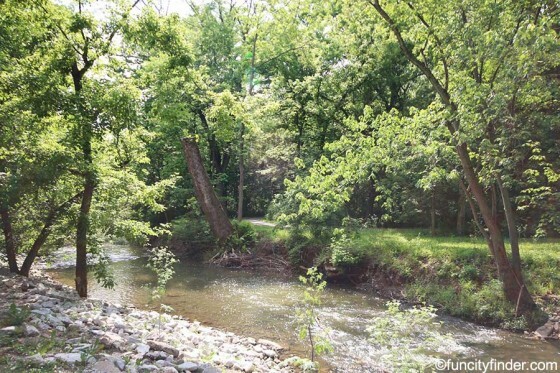 3.54 acres with 2 acres+ usable land in Brownsburg with c-3 Zoning. Property backs up to I-74 and is on Northfield Drive between Walmart and Kohls. 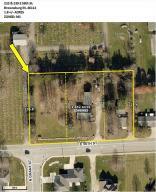 Property is currently Zoned "PB" Planned Business under Hendricks County jurisdiction. 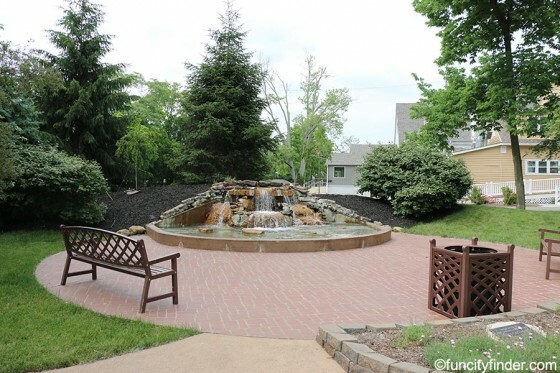 Property is being marketed for its commercial potential. Showings are for walking the land only. 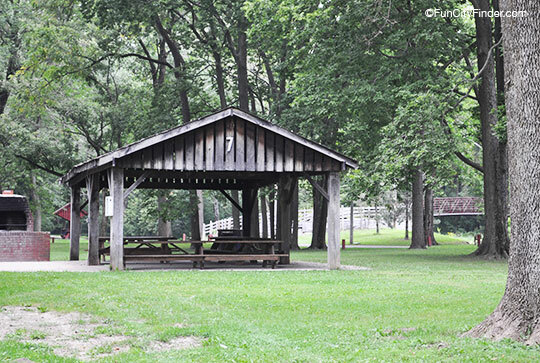 The home and pole barn will not be accessed.